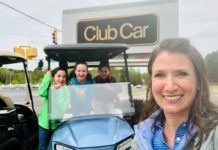 AUGUSTA, Ga. – Textron Specialized Vehicles Inc., a Textron Inc. (NYSE: TXT) company, introduces closed-loop electronic fuel injection (EFI) technology on all E-Z-GO RXV® and TXT® golf car models and for Cushman’s Hauler®, Refresher® and Shuttle® vehicles. Closed-loop EFI technology adjusts the fuel-to-air ratio in the engine to improve fuel economy, reduce engine service needs and lower emissions. Closed-loop EFI technology uses an oxygen sensor to read exhaust levels, which enables sensors in the new engine to adjust the fuel-to-air ratio, delivering better engine performance in all weather conditions. The new EFI technology increases the number of operating hours between service intervals, resulting in less maintenance. Exclusive sound-deadening techniques on the E-Z-GO TXT deliver a quieter driving experience for the operator and passenger; By installing an extended air intake hose, as well as sound-absorbing foam under the seat and rear-body access panels, engineers reduced engine noise and created a more pleasing engine pitch. 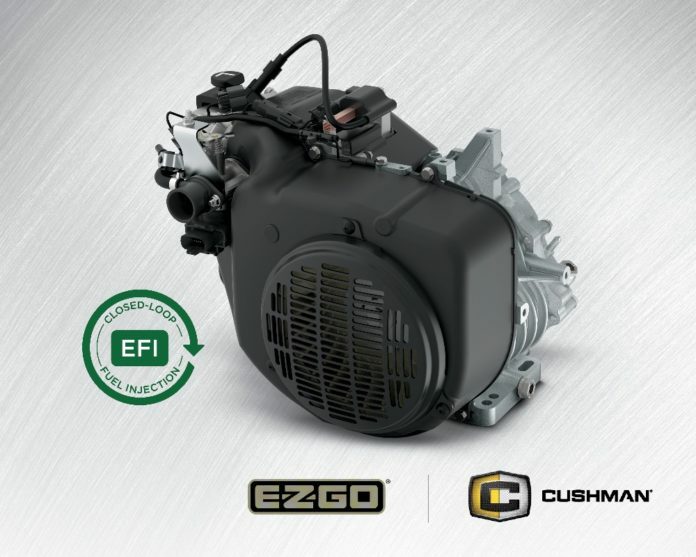 Closed-loop EFI is now available on all gas-powered E-Z-GO RXV and TXT vehicles, as well as Cushman Hauler, Refresher and Shuttle models. 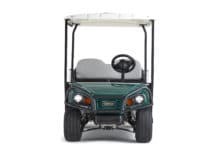 For more information, visit www.ezgo.com and cushman.com. 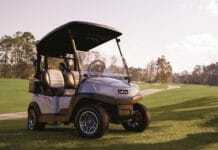 E-Z-GO is an iconic, world-renowned brand in golf cars and personal transportation vehicles. 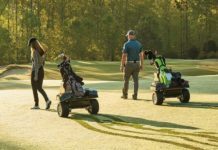 Products sold under the E-Z-GO brand include RXV® and TXT® fleet golf cars, Freedom® RXV and Freedom TXT personal golf cars, E-Z-GO Express™ personal utility vehicles, and the 2Five® street-legal low-speed vehicle. 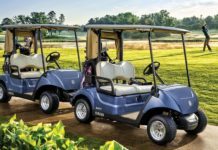 Known for innovation in electric-vehicle technology, E-Z-GO’s newest offerings include the ELiTE series of lithium-ion powered golf cars and PTVs, and the exclusive 72-volt AC electric powertrain found in its latest Express series vehicles. Founded in 1954 in Augusta, Ga., E-Z-GO became part of Textron Inc. in 1960, and today operates as part of Textron Specialized Vehicles Inc. Since 1901, Cushman vehicles have been recognized light-transportation solutions for turf, commercial and industrial applications. Today, Cushman products range from rugged Hauler utility vehicles, ideal for tough hauling and towing tasks in outdoor environments, to the imposing Titan, a fully electric material-handling vehicle for indoor environments with a load capacity of 3,000 pounds, to the Minute Miser, perfectly suited for transporting people and small loads across large facilities. 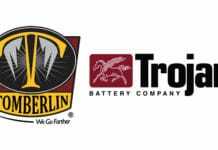 Cushman vehicles are designed and manufactured by Textron Specialized Vehicles Inc.